Nobody has ever accused me of being quiet. In fact, I am the quintessential extrovert. I am talkative. I am loud. I am Tigger on steroids. Quiet people are a mystery to me. I am amazed at how they can just sit there and listen. Unlike me, they don’t seem to feel that overwhelming need to participate in the discussion, to share, to be heard. I have generally chosen the latter. But being an extrovert does have its upside. As a pastor, I get to know people quickly. I am not easily embarrassed and am willing to take chances. I feel comfortable speaking in front of groups and taking the lead on projects. Being an extrovert opens many doors for me as a pastor and allows me to share the gospel with a large number of people. You can always tell the extroverts in a church. They are the ones raising their hands in Bible Class. They are the ones taking the lead in meetings. They are the ones who greet new people at the door and take charge when there is a crisis. People look up to them. They are charismatic and aggressive. They are the ones who seem to be doing more in service to God and others. In fact, they sometimes get frustrated with quiet Christians whom they often perceive as lazy, unengaged or apathetic. So please allow me, quiet Christian, to speak in your defense. In 1 Corinthians 12, the Apostle Paul compares the Christian Church to a body. We are all different parts of that body. Not all of us our mouths. Sadly, the service of quiet Christians often goes unnoticed. When I serve at church, everybody knows it because you can hear me a mile away. Most people, however, don’t notice the woman who picks up the rags from the church kitchen every week to wash them. You don’t hear the silent prayers offered for you and others by the little old lady at the end of the pew. 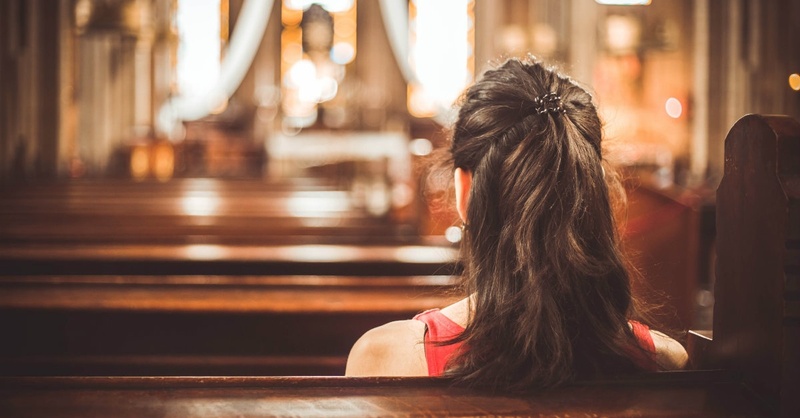 We easily fail to see the unassuming plumber who sits in the back of church – the one who always makes sure the toilets at the church and parsonage are in working order. The mom who quietly cleans her home, raises her children and loves her husband. The father who stoically and faithfully provides for his family. The young, single woman who visits her grandmother every day at the nursing home. Now, don’t get me wrong, quiet Christian. The devil is going to tempt you to use your quietness as an excuse to not serve, to not participate or to not speak when words need to be said. Sometimes quiet Christians need to speak up, just like sometimes us loud Christians need to close our mouths and listen. But please don’t ever feel like your service to God is any less meaningful or important because nobody seems to notice. You and I in a room together would be too much! But, I appreciate your point about those who work quietly behind the scenes making the cogs turn. There is a lady in my friend group with whom I dine at least once weekly. Rarely does she participate in the conversations. I asked her about it once and she told me, “I like to listen.” Okay, I’m good with that. I hope what I have to say is worth it! She works in the church office doing the service folders, a valuable position, quietly and behind the scenes. I’m the one at the door, grabbing people when they come in. They have her service folder in hand, and my arms around their shoulders, a subtle team. We all have a role to play, whether from the chancel, to the pew, to the kitchen, to the office, to the property…. Dear Pastor Andy, as always, I really love and enjoy your articles and books. If you let me, I would like to share some insight into personality traits. An introvert, like myself, doesn’t mean that I’m shy, it is only that I pay more attention to my inside world than the outside. I say this because normally introvertion can be easily confused for shyness, and that is not accurate. For example, an extrovert can be shy. Extrovert, as the word indicate, are the opposite, they get their energy from the outside. And I agree with you, both can serve our Lord and both eill be tempted. Juan Ricardo, thank you for pointing out the difference between introversion and shyness. I often use them as synonyms and they are not. I am the quiet type myself. But the reason is because I do not want to make mistakes. I do not want people to know that I am stupid sometimes. So what I do is to keep my questions to myself and find out the answers later. So people who know me think I am dumb and probably they are not mistaken. But the Bible explicitly says faith comes by hearing and hearing by the word of God. Our mouths were made to speak up and share our faith. So maybe we need to open up and speak and just trust God to put words to our mouths. But you shall receive power when the Holy Spirit shall come upon you. We can speak when we are empowered by God. So let us ask the Holy Spirit to give us boldness. So Christians speak up and be a source of encouragement to others. When you speak during bible studies, you encourage your bible study leader, your classmates..When you are silent, it can be misunderstood that you are not interested.